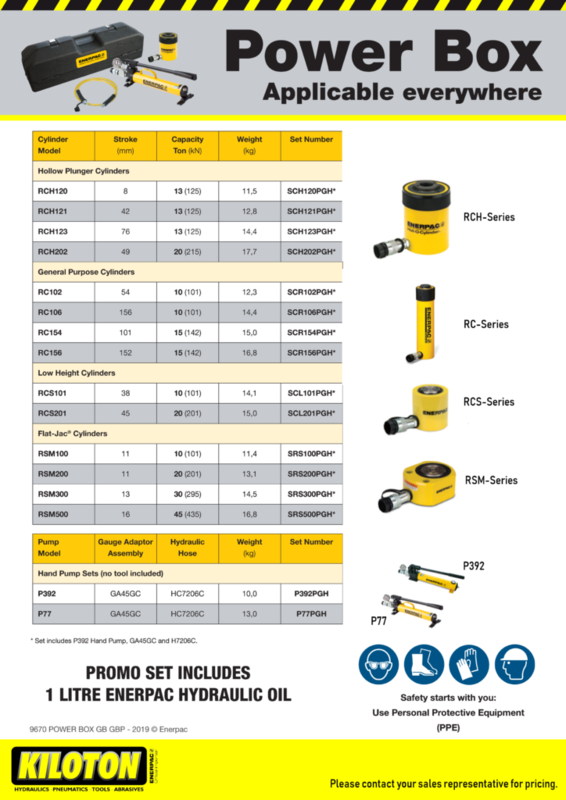 Take advantage of our massive hydraulic and tooling offerings now. 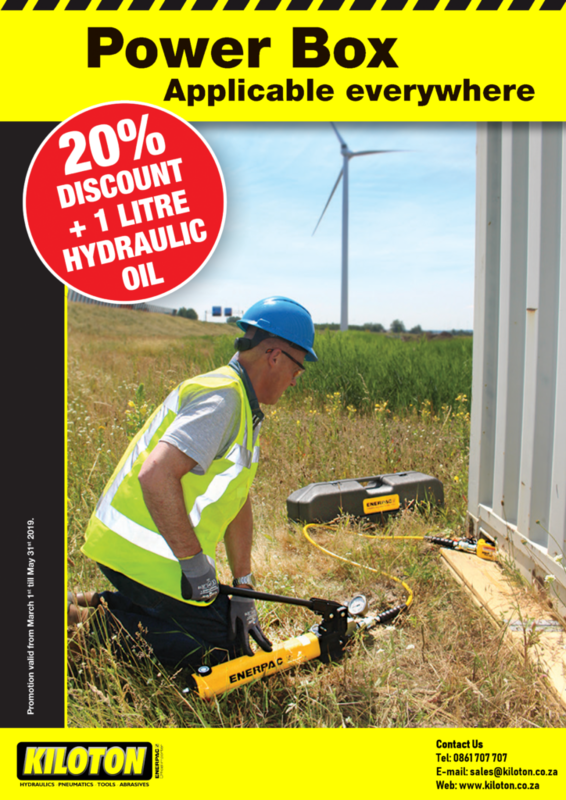 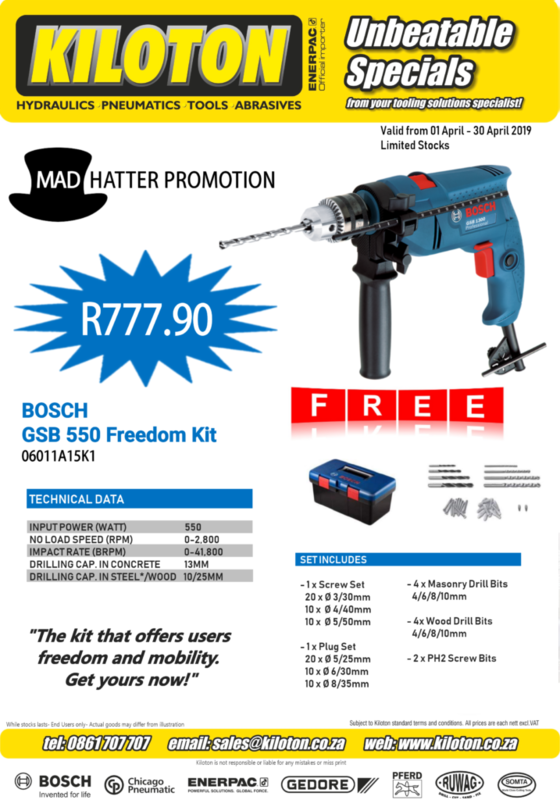 View our latest Enerpac Power Box and Bosch Power Tool Promotion. 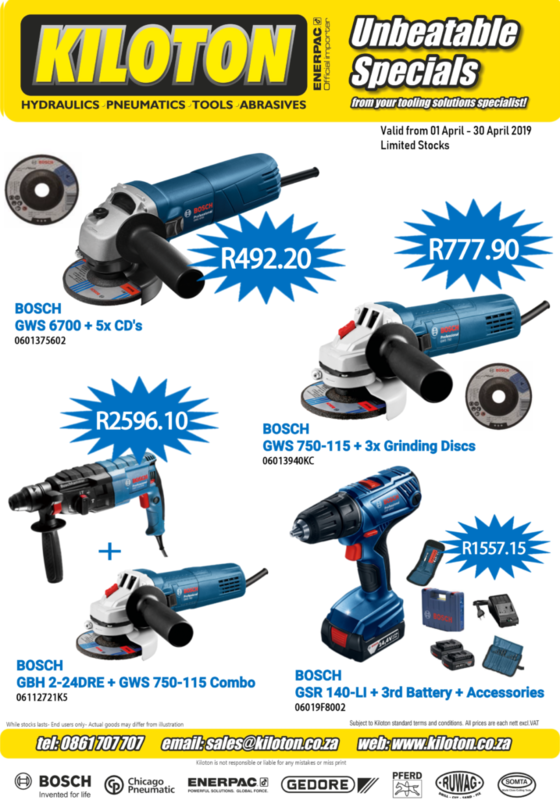 For more information please feel free to contact us on 0861 707 707 or send us an e-mail to sales@kiloton.co.za .